Clean & Classic is a collection designed to bring authentic traditional designs to Amerock. 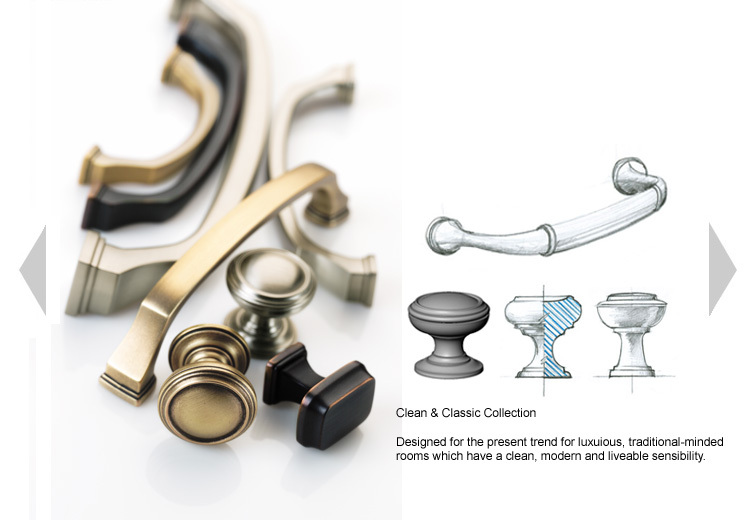 Recent trends in kitchen and bath show that consumers want "restoration" type hardware, which mimic the permanance of 19th and early 20th century designs. In addition, the trend for glamour has brought a new appreciation for finery for which this hardware adds that final detail to a fine-tailored room design. Clean & Classic went to market as the Revitalize collection.